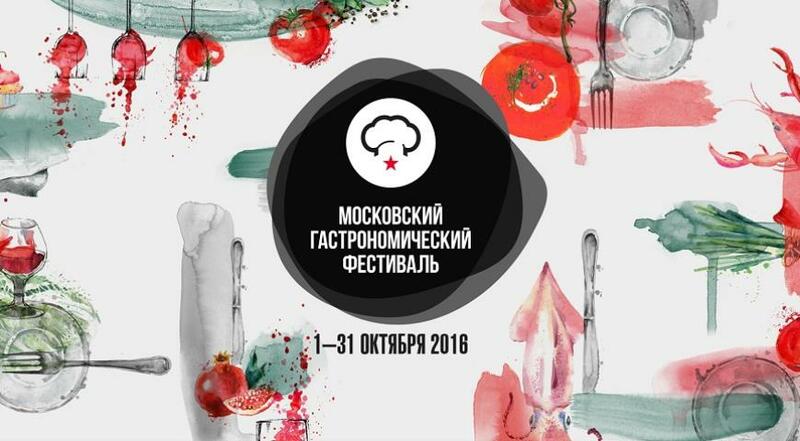 Throughout October, the Moscow Gastronomic Festival is held at 100 restaurants in the capital. This is a truly valuable and useful act. The cost of the tasting set in any institution is only 1500 rubles. For this money you get 3-5 dishes from the best chefs of the city plus the opportunity to try and appreciate the modern Moscow cuisine. We managed to visit 12 restaurants. In each we chose a dish for which it is worth coming here. The festival will last until October 31 and you still have time to join this gastronomic feast. For the preparation of the set were used foie gras, champagne, chestnuts. 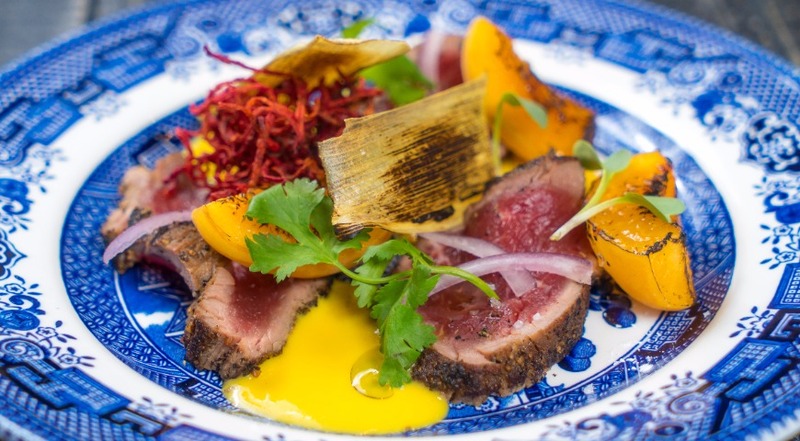 At the heart of — classic dishes served with a claim to showiness and singularity. A slice of goose liver is laid out on a brut jelly, ravioli are colored red, and tiramisu requires, when serving, the obligatory participation of a waiter. Outwardly, the popular Italian dessert does not look like itself. 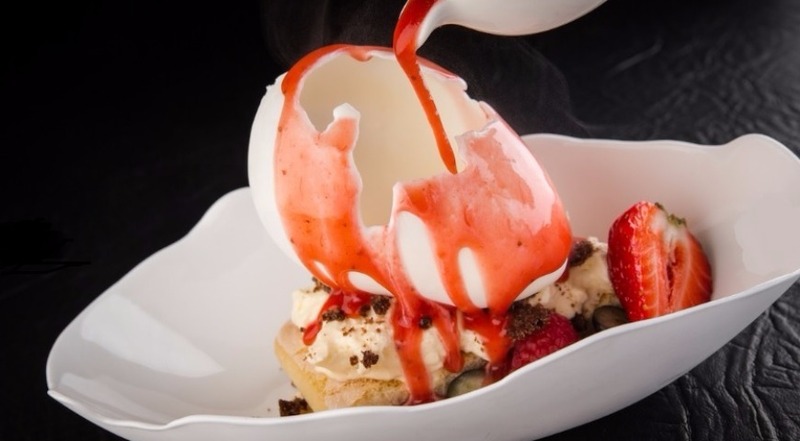 It is decorated with a dome of white chocolate, which literally collapses under a stream of strawberry sauce. Sweet dessert for sweet teeth. Set, created specifically for the MGF, in Asian style from Dmitry Zotov. Each dish had something special to come here for. One only corn soup with pickled egg what it costs. 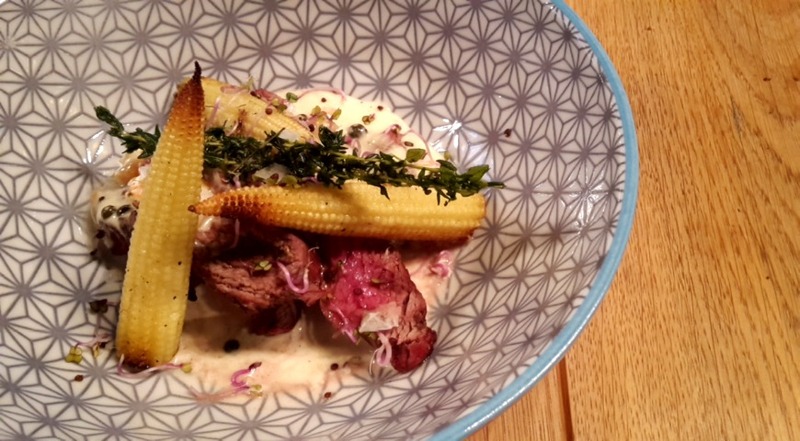 If you like corn, be sure to try this dish. Our choice — crab with tapioca and black sesame. This is a complex flavor composition that you want to discuss and try more than once. The crab is hidden inside a small dim sum, tapioca — in an avocado roll. Everything is not as simple as it seems at first glance. It is possible that this set is not the only one where a cocktail with brandy played the role of an equal participant. But we visited it here and recommend it cocktail «Peaches with mascarpone». 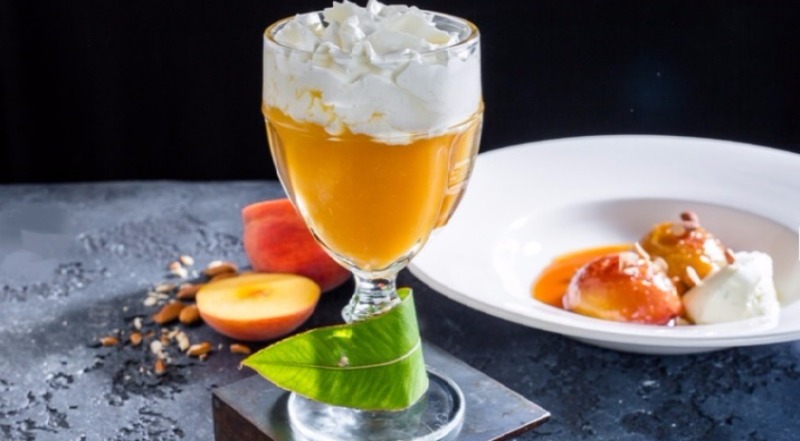 Moreover, in addition to the cocktail, we tried his dessert pair — hot peaches with mascarpone and almonds. By the way, eggplants here are also able to cook. Try the first dish of the set — bruschetu with caramelized eggplants, bone marrow and salad of tomatoes and dried olives — and you will probably agree with us. Such a delicious, crunchy eggplant still search! You can even fight for them if you share a set for two. A very small room, where on the one hand the bar counter, on the other — the kitchen. It’s as if you are caught between drinks and food, and you like this situation. After all, you were at the center of gastronomic events. Here you feel the closeness to some wonderful and correct experiments, where seasonal products are respected, skillfully manipulated with flavor combinations, textures and flavors. It is nice here! Every dish in the set from the chef Luigi Mani described in the menu with just three words. For example, the phenomenal hot «Gnocchi / Porcini / Parma«. I want to eat it and eat it, and then take a piece of bread and finish the sauce. 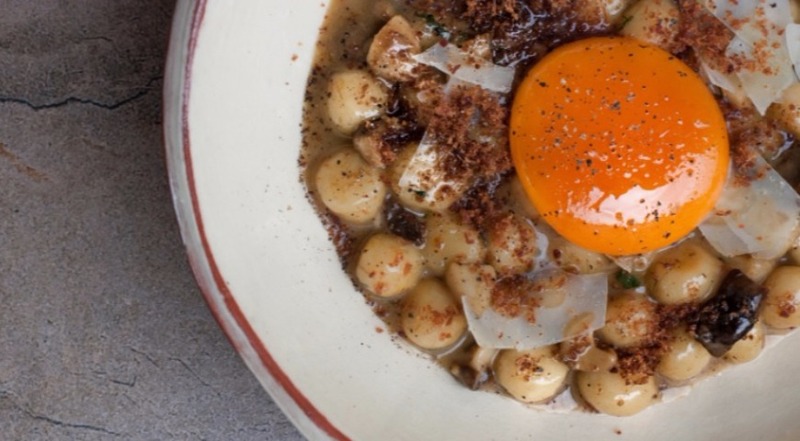 Just eat this dish correctly: first pierce the yolk, mix it with gnocchi and then enjoy. There is only one “but”: leave a piece of joy and appetite for dessert.Fig / Sunflower / Ginger«. He is also amazing here, especially if the taste of sunflower seed and oil is close to you! It all started on Prospect Mira. It is there that the chef Dmitry Zotov opened the first pub with a funny name, referring us to the eponymous French comedy of 1976 with Louis de Funes. The second pub appeared not far from Patrick, we visited it. A very impressive set of impressions and fullness of the set here consists of 4 courses. Two of them invitingly call to come to the pub again. The only thing that in the dish «Burnt beef with amorilo sauce» could be added zhzhenki and more. But this is for us personally, because we love these newfangled burners and burns. TO duck fillet with couscous and mushrooms There are no complaints. Greatly! You can even remove the mushrooms from the dish, so the combination of couscous and duck here is harmonious and impressive. But it is better, still leave to enhance the pleasure. The restaurant is not open yet, but is still working in test mode. 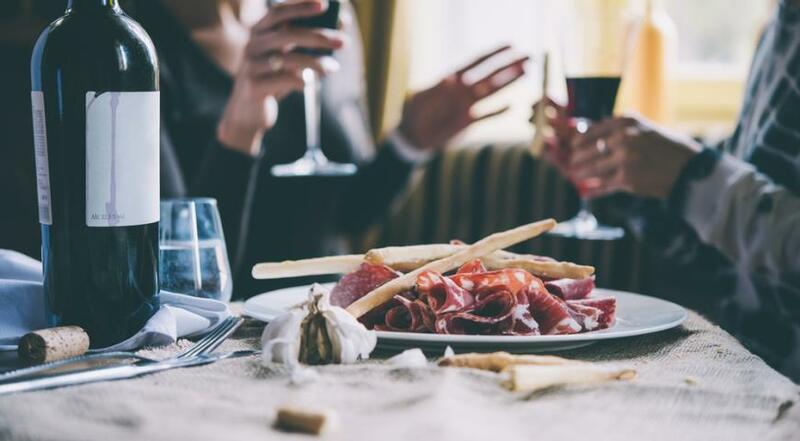 A 4-course set is just a test of the restaurant and Italian chefs for compliance with the tastes and needs of the capital. On the one hand, the dishes are refined and sophisticated, on the other — honest and authentic in Italian. 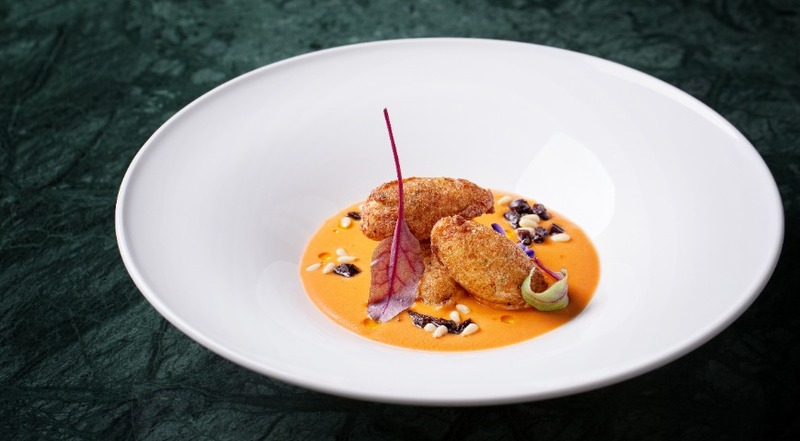 Fried zepppole with cod, warm tomato soup, pine nuts and plums. For us, the main character of this dish was a tomato. Delicate zepppole (donuts cooked in deep fat) with cod are also good, but they are only a retinue here. But no matter how good the soup is, Neapolitan Baba — It is something. Again, travel and travel, but now only in Naples. And now you’re on the shore of the Gulf of Naples admiring Vesuvius, and the local pastry-wizard brings you this rum miracle. This is just a holiday of some kind! We never tried such a woman in Moscow. The dishes from the set of this restaurant seemed to us the simplest of all that we tried. But this is not a minus. All of them are cooked to the conscience and from quality products. 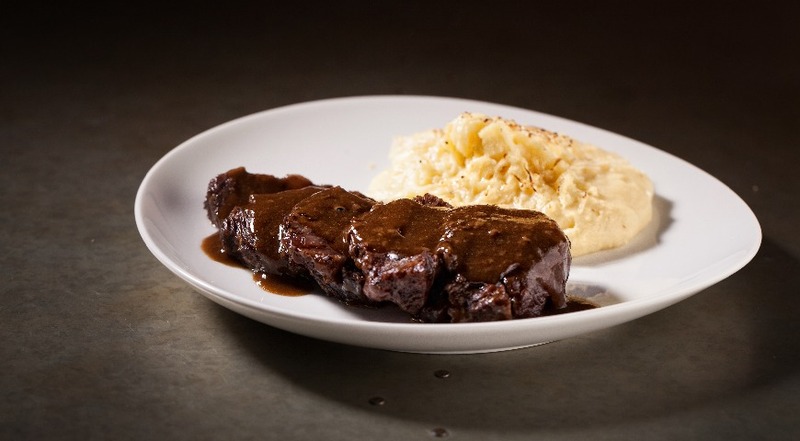 Now, few people decide to give the guest just beef cheeks and mashed potatoes — without a lot of additional ingredients or visual tricks. And here they decided on it and did not lose. Perhaps this is one of the most delicious cheeks that we tried. Brand Chef Seth Mark Statsenko practically does not differ in essence from the dishes from the menu. Without using a large amount of spices and spices, without delicacies and sophisticated delivery, the food here is almost always an event and a reason to understand that we eat not only for the sake of satiation, but also for the sake of discovering something new. Bruschetta, steak and pear pie. It’s as if you ordered a business lunch, but in addition to a snack, a hot and dessert, there was still a new experience and pleasure. Harmony of internal content and filing. Our choice — flank steak in shrimp and pepper sauce. For the preparation of this steak with a rich meat aroma, a cut from the lower abdomen of the bull is used. The meat here is quite fibrous and tough, but is eaten instantly, in one go. That’s what makes the skill of cook and creamy sauce of shrimp and pepper. We, of course, ate the whole sauce (even ordered bread specially for this). The waiter took a completely clean plate from us. Both shrimps and peas were eaten. Having kept their spicy, bitter taste, they were soft and fragrant. If you have a weakness for the Scandinavian cuisine, like us, you either have already been to this restaurant, or simply must visit it. 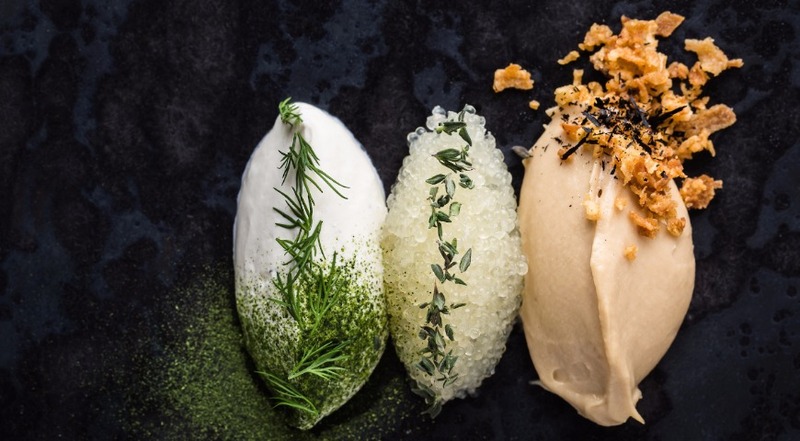 The basis of the institution concept is n ew n ordic with uisine (new Nordic cuisine), shifted to the Moscow style and embodied on the site gastrobistro. Chef Stanislav Pesotsky offered a 3-course set. We especially liked the beginning — caviar of halibut, mashed roasted onion, smoked sour cream. We on the advice of the waiter mixed three ingredients together, dipped there freshly baked bread, resembling a large sponge, and were very pleased. This sensation did not leave us even while eating the flounder (main dish), and it was also enough for dessert. For sweets at Stanislav — sweet potato “truffle” sweets on chips made from it with whipped sour cream. This is very Scandinavian: no tricks, only the natural taste of seasonal products. Chef set Giuseppe Davi good from beginning to end: we liked all 4 dishes and all were eaten completely. 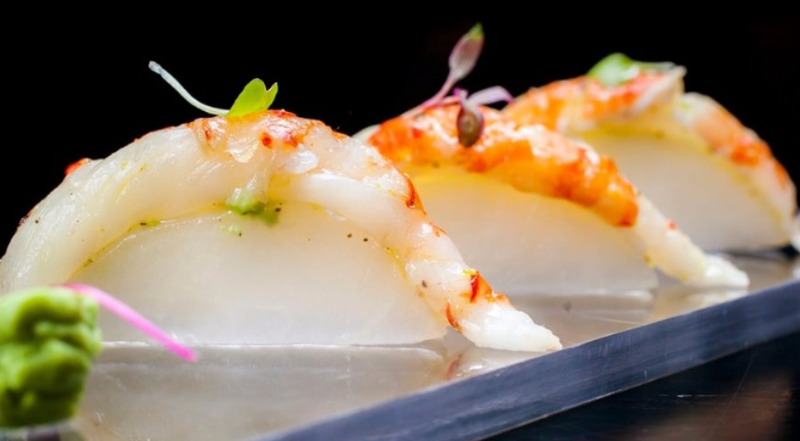 But since we promised to choose one from the set — from our point of view, the most interesting and memorable dish (magnet dish), we’ll immediately recall Japanese style pink shrimps on melon. This dish sets the desired gastronomic mood. And don’t forget about the final set. dessert OliOli. These are fried nectarines with a drip of proseko, hidden from the feeder under a lid of short pastry. This barrier between nectarines and the eater is smashed by a waiter with a hammer, and this blow is also part of the gastronomic set. 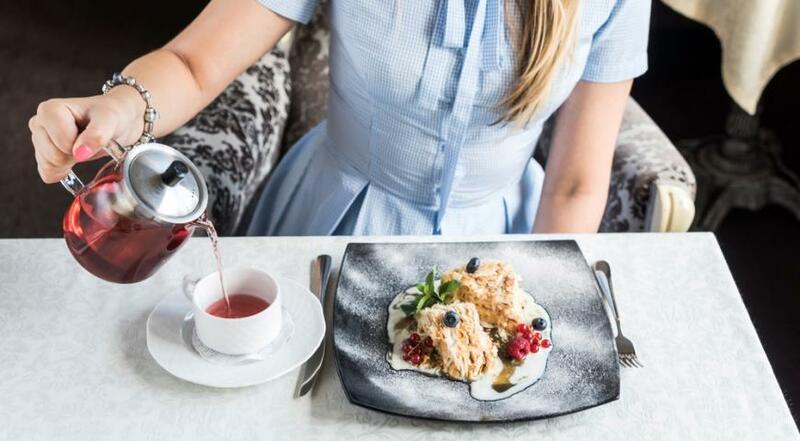 The set presented in the restaurant of the Central House of Writers is a gastronomic reflection of the famous literary house on Povarskaya Street. This is stability, tradition and quality. Each of the five dishes is a well-thought-out choice and a tough selection. Pancakes, shrimps, cream soup, beef cheeks and wafer rolls. 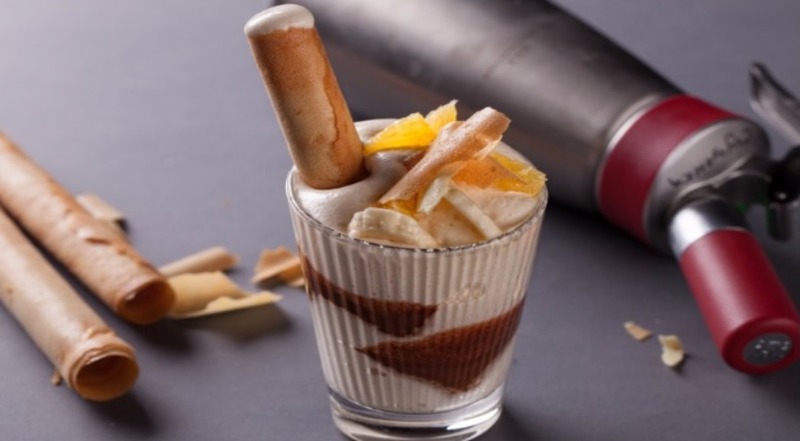 We — people sentimental and with a rich past, could not get past the dessert «Mousse of condensed milk and sour cream with tangerines«. The tubes we conquered and forced to sit at the table for a long time and peacefully. A great combination of bananas, tangerines, sour cream, condensed milk and crispy waffles. 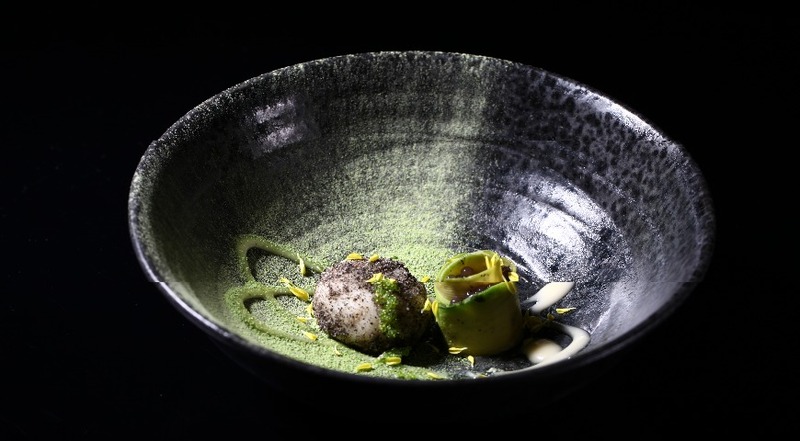 Dishes in one color range is definitely a trend in gastronomy. The monochrome gastrovolnu caught a young chef Vladislav Korpusov, and I must say, very successfully. His author’s set «Black thoughts» includes 4 dishes: they are all black and served on black dishes. The secret compliment from the chef is completely wrapped in black craft paper tied with a black balloon tied to a black ribbon. But inside each multi-layered dish there is a bright ingredient: white tender foam, bright red beef tartare or amber potato. Snack — grilled eggplant with smoked parmesan foam, black truffle sauce and black garlic cream. Main course — Tenderloin of a bull with caramelized potatoes and Béarnez sauce. Blueberry cheesecake with black currant sorbet and sesame waffles with blueberries and black currants — the final dessert note.